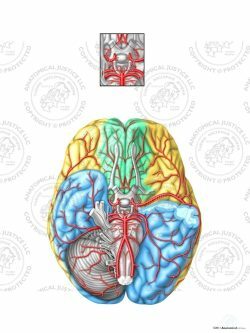 This exhibit features four color coded illustrations depicting the anatomy and functions of the brain. 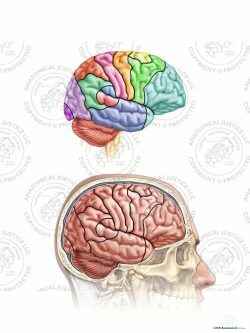 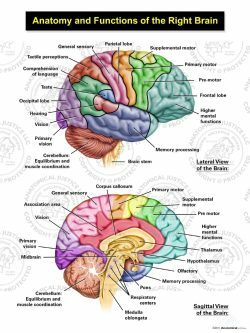 At the top, two brains are situated showing normal anatomy and function. 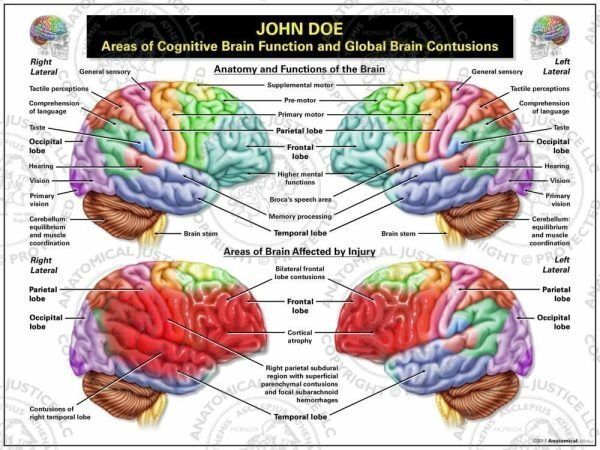 At the bottom, two brains are shown with severe contusions affecting the frontal, parietal, and temporal lobes. 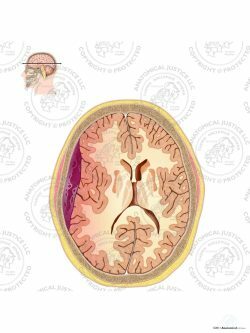 The injured brains also show cortical atrophy in the frontal lobes and focal subarachnoid hemorrhaging in the right parietal lobe.